To edit a fixture, follow the steps given bellow. 2. 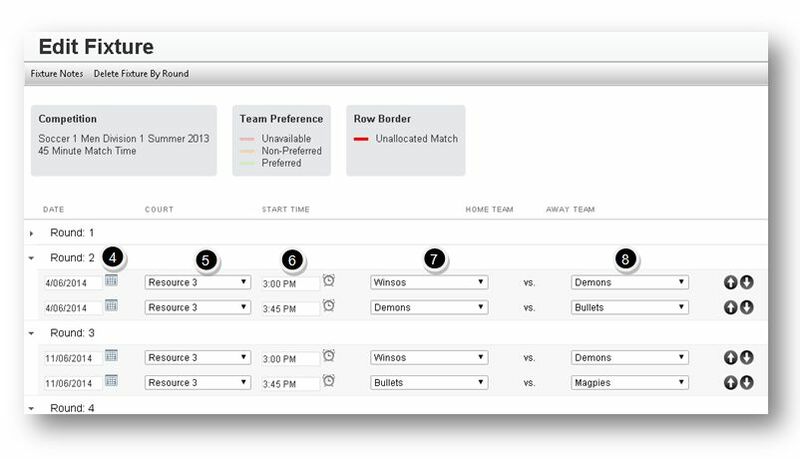 Select the fixture that you wish to edit. 4. For each of the rounds, select the date for the round from the Date calendar. 5. Select the name of the court from the Court drop down list. 6. Select the starting time of the round from the Start Time clock. 7. Select the name of the home team from the Home Team drop down list. 8. Select the name of the away team from the Away Team drop down list. 9. Click the Save Fixture button. The fixture will be saved. Note: Some rows will be disabled if the results have been already entered.